Hawaii Activities Discount – Hawaii Tours, Hawaii Attractions, adventures, sightseeing, and Hawaiian activity planning. 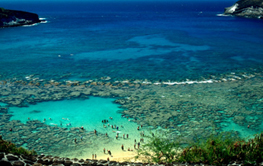 Planning a vacation on one of the Hawaiian islands of Oahu, Maui, Kauai or the Big Island? Hawaii Activities Discount is here to help you find the best deals on all Hawaii tours and activities. We provide you with convenient access to hundreds of the best Hawaii tours and offer big discounts on all the best island activities and things to do. 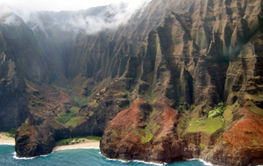 Land tours are some of the most popular tours in Hawaii. Each Hawaiian island is unique and land tours take you to each island’s best attractions. Visit Pearl Harbor, the Dole Plantation and the big wave surfing beaches on Oahu, enjoy the fantastic panoramic view from atop Maui’s Mt. Haleakala, see a smoking volcanic crater on Hawaii’s Big Island, and enjoy a leisurely boat cruise up Hawaii’s longest navigable river, located on the island of Kauai. All Hawaii land tours have one thing in common – they provide you with plenty of great photo opportunities. Once you have seen everything that is accessible on the ground, hop on a helicopter and see a Hawaiian island from above. A Hawaii helicopter tour is the best way to really cover an entire island and to see the remote areas, hidden waterfalls, valleys, rainforests and sea cliffs that are inaccessible from the ground. If you love the ocean, you will find plenty of boat tours that take you to Hawaii’s best snorkel and dive spots. Many of them can’t be reached from the shore. Some snorkel and dive tours also take you to smaller islands, for example to Molokini, located off Maui’s south shore, or to Niihau, located off Kauai’s northwest shore. We invite you to browse our site and choose your favorite Hawaii tours and activities. HawaiiActivitiesDiscount.com offers the best prices on all things to do in Hawaii! 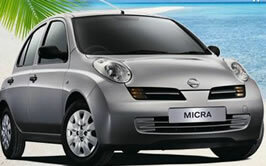 For more information or to make a reservation over the phone, call Toll Free at 1-866-482-9775.